I hope that you're all enjoying your weekend. Just wanting to let you know that starting Tuesday until probably Sunday I will be having a blogging hiatus because I will be on a trip to the lovely San Juan Islands of Washington State. (I kind of wish I was going to Canada, but alas, no.) This means that I won't be doing any more posts till then, and I will be missing all the memes (I'll miss you guys this Friday) but I'll be back soon and catch up then. I may find a time to post between now and Tuesday, but, if not, see you guys soon! p.s. I'd love it if you'd vote on my poll to tell me which book I should read next! A. It depends on the week, but usually one a week in either a hard copy or on my Kindle. please leave a link so I can check out your blog!!! The cover for the Clockwork Prince was revealed this morning! what do y'all think?? You can enlarge it by clicking on the picture! 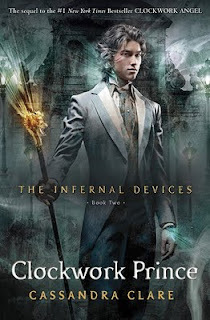 In Clockwork Prince, with Mortmain vanished and the clock counting down on how long Charlotte can keep control of the Institute away from Benedict Lightwood, Will, Jem and Tessa must dig into Mortmain’s past to predict what he will do in the future, But secrets about Mortmain aren’t all they find buried — Tessa begins to uncover the truth about her own birth, and the ghosts of Will’s past return to haunt him. As Tessa grows closer to Jem, and Will is driven further toward the brink of madness by jealousy and guilt, will they discover the truth in time to halt the next phase of Mortmain’s evil plan? Sixteen year-old Cheyenne Wilder is sleeping in the back of a car while her step-mom fills her prescription at the pharmacy. Before Cheyenne realizes what's happening, their car is being stolen—with her inside! Griffin hadn’t meant to kidnap Cheyenne, all he needed to do was steal a car for the others. But once Griffin's dad finds out that Cheyenne’s father is the president of a powerful corporation, everything changes—now there’s a reason to keep her. What Griffin doesn’t know is that Cheyenne is not only sick with pneumonia, she is blind. How will Cheyenne survive this nightmare, and if she does, at what price? 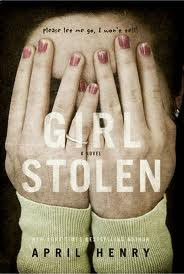 Over all, ‘Girl, Stolen’ was a great read! I loved the story, I loved the descriptions, and I loved the ending. I highly recommend it, and because it is so past-paced and condensed it was one of the quicker reads that I have read in a while! 1. I sometimes eat salad with my fingers. 3. I always sleep with at least one animal on my bed. 4. I am a compulsive nail biter ( especially at intense movies). 5. I have a TBR list of about thirty books. 3 different books, 4 different movies! As well as a book geek, I also count myself as a movie aficionado. And what can be better than news on books and movies? News on books being made into movies of course!! For those of you who are also movie enthusiasts and do not yet know about Comingsoon.net you really should, it is an incredible source for all movie news. Anyway, the past couple of days there has been some good news regarding books being made into movies. 1. 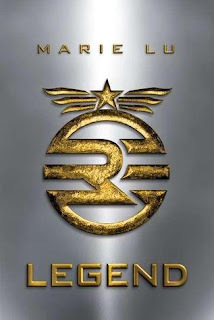 The upcoming release 'Legend' (which I featured as my Waiting on Wednesday this week) already has a director for its movie adaption, Jonathan Levine. Also, the Twilight Saga's Marty Bowen and Wyck Godfrey will produce it. 2. 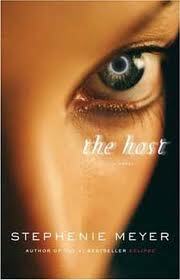 Andrew Niccol has signed up to direct the movie adaption of 'The Host' by Stephanie Meyer. He originally wrote the screenplay while someone else was set to direct it, but now it seems he has returned to the project. 3. Lastly, 'The Hobbit' which is being made into a two part movie adaption released a ten minute video on the last touches of their pre-production. (Out of all of these, I think I am most excited about this). 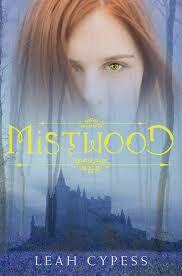 I had heard about Mistwood awhile back from another blog and the description (and cover art) intrigued me. I bought it on my Kindle and read it over a vacation in California. 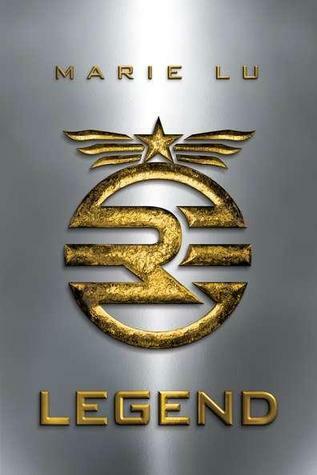 I definitely liked the legend aspect of it, and the author had a twist ending that I could not see coming. 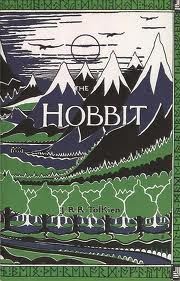 The descriptions were very well written, I could picture the castle that most of the book takes place in very vividly. What I did not enjoy so much is that there was not a ton of action throughout the book. There was talk of war, but nothing ever really came of it. Though there was a tie up of everything at the end, at times it was confusing to put together from the way it was written. All of the characters’ motives were not always clear. 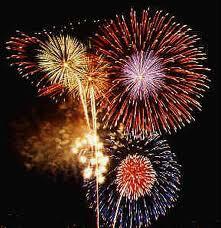 I am so excited that I have just reached over one hundred followers! It is so awesome to know you guys all like what I have to say. I love each and every one of you! A. I would most want to be Hermione I think, and I would want to date Peeta Mellark the most. Description: He final book in Westerfeld's masterful trilogy that SLJ reviewed as “sure to become a classic.” (Sorry for the short description that was all that I could find on the Internet. I am adding a short description of the trilogy below). 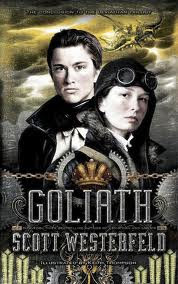 The Leviathan trilogy follows Devyn Sharp, a girl disguising herself as a boy in order to join the British army, and Alek, the prince of Austro-Hungary who is on the run. It is a steampunk that takes place in the early 1900s in a world where the Beasties (England and allies) and Clankers (Austro-Hungary and allies) are on the edge of starting a war. This is an awesome young adult steampunk series and I am really excited for this release! It is the beginning of a new month, and someone sent me this amazing quote on writing that I thought was so great I just had to post it. It is really rather encouraging to think that a writer such as J.K. Rowling has the same difficulties as myself and many other aspiring writers everywhere! "Be ruthless about protecting writing days, i.e., do not cave in to endless requests to have "essential" and "long overdue" meetings on those days. The funny thing is that, although writing has been my actual job for several years now, I still seem to have to fight for time in which to do it. Some people do not seem to grasp that I still have to sit down in peace and write the books, apparently believing that they pop up like mushrooms without my connivance. I must therefore guard the time allotted to writing as a Hungarian Horntail guards its firstborn egg." As of today, May 1, my haiku poetry contest is officially over and it is time for me to announce my winner! I also want to thank all the other wonderful people who submitted in this contest, you were all fabulous. I hope you all will submit for next year's as well.